Poll: Do you want a new map when 1.9 comes out? First off, I started the server as an 18+ server. The server is no longer 18+; however, maturity is still the key factor when accepting applicants. If you've played Factions before you may notice things are a little different. I've configured the plug-in so things are a bit more challenging; not game-breaking, but challenging. Once 1.9 comes out the server will load a fresh map and start all over. What this means is you need to take this opportunity to create a Faction now! Create a Faction now so you can recruit and be ready once 1.9 comes out. Currently there are only a few factions, each fighting for resources and to protect their own ideals. Will yours be next? Only by donating will the server grow. Click here to donate! If you need to contact me for any reason whatsoever, my e-mail, skype, and MC forums account are at your disposal. A bit about yourself:I go to High School. 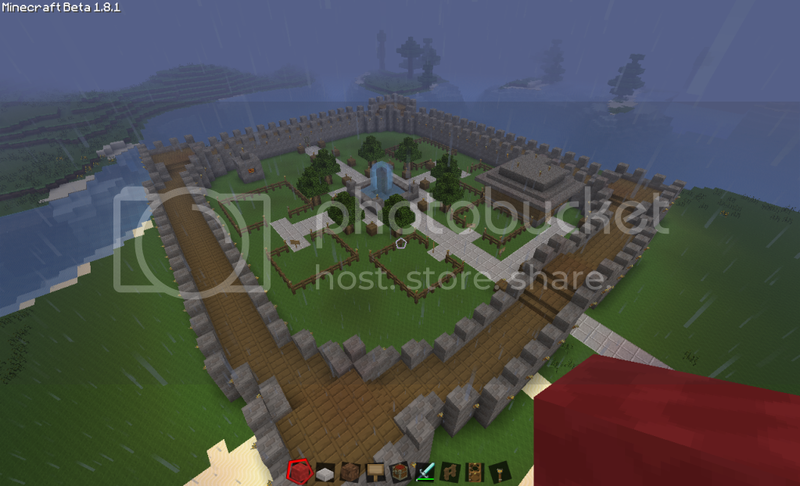 I play various games, including my favorite ones: Mount and Blade: Warband and Minecraft. Favorite quote: When I was in elementary school the teacher told me to write down what I wanted to be when I grew up. I wrote, "happy." She told me I didn't understand the assignment, what was being asked of me. I told her she didn't understand life. Do you plan on creating a faction? : No, I plan joining one. Thank you, I guess I will just wait for you to send me the IP. Thanks again. Haha oops, let me add that to the OP. A bit about yourself: i like playing sports, but in my free time i enjoy minecraft. Do you plan on creating a faction? :not sure yet, i will decide once i join the server. Favorite quote: (Optional) "The night is darkest just before the dawn" - Batman, Although it's not true, i like the metaphor. Do you plan on creating a faction? : No, i realize if everyone made a faction, there would be no factions at all, just titles. A bit about yourself:well, I'm very mature for my age, you probably saw 13 and you said oh no it's a little kid. I have a very deep voice, and i've been looking for a minecraft server forever. I know I just thought I'd put that in there. A bit about yourself:I ride horses and I play minecraft. Do you plan on creating a faction? :no,i am not. A bit about yourself: I love long walks on the beach (especially when there's no Creepers about), and mining in the Dagobah system. Do you plan on creating a faction? : No, I plan on joining a faction. I'm not cut out for leadership. Do you plan on creating a faction? :maybe later but not now, i want to join one. Myself: Live in NYC, I don't play often but I've been trying to play more recently. Creating a faction: No, I like the idea of being a member a bit better. About me: pretty average kid, i like playing baseball and hanging with my friends. saw my little brother playing this and thought it was pretty neat so i made my own account. Favorite Quote: "i'd Rathe be hated for who i am than loved for someone I'm not." Creating a Faction: maybe probably not, i'd rather see a few large factions than a ton of little ones. ''Voilà! In view, a humble vaudevillian veteran, cast vicariously as both victim and villain by the vicissitudes of Fate. This visage, no mere veneer of vanity, is a vestige of the vox populi, now vacant, vanished. However, this valorous visitation of a by-gone vexation, stands vivified and has vowed to vanquish these venal and virulent vermin van-guarding vice and vouchsafing the violently vicious and voracious violation of volition.